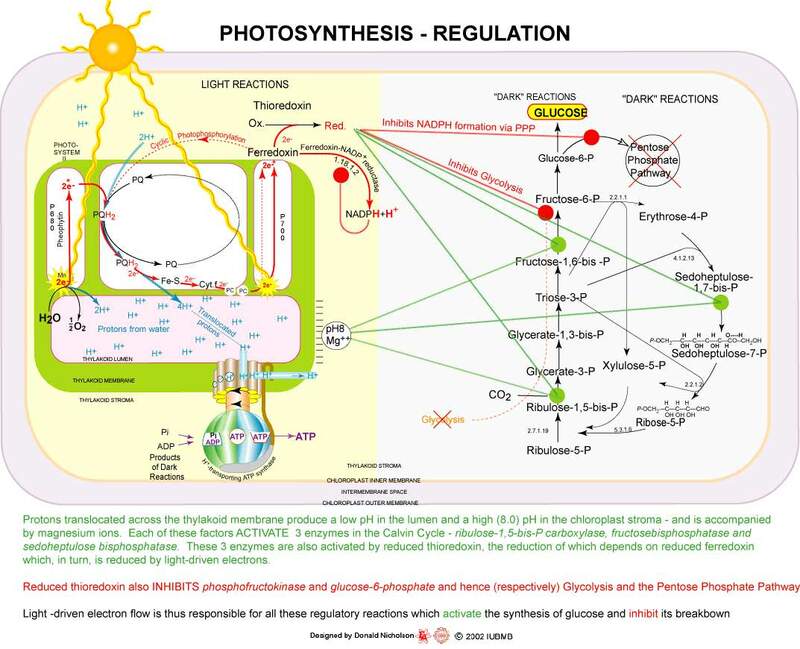 The process by which plants take solar energy and convert it into sugar and other carbohydrates. Photosynthesis is a complex chemical reaction, but essentially light energy from the sun is used to convert carbon dioxide and water into simple sugar molecules. See the image below for a detailed set of biochemical reactions. The Green Light Debate - Can it be resolved?